Greetings in the wonderful name of our Lord Jesus! We rejoice as we reflect on God’s goodness in sustaining us over the past month. I’m sure you’ll agree that the past month has had its hardships and challenges, but God has been with us through it all and continues to be with us. We again say “Thank you!” to each of for your prayers that uplift us and your gifts that allow our ministry in South Africa to continue. If it’s been a while since we’ve connected then please write since we’d love to hear from you! The past month has gone quickly. We are nearing the end of the first semester at the Bible Institute. In April I began teaching a course on Eschatology (the fancy theological term for “future things”) to our third year students. So far we have covered topics such as life, death, and the intermediate state (what happens after we die). We have had some meaningful discussions in class. Several students shared openly how they had wrestled with suicidal thoughts before they became Christians. Others have visited me after class to share some ongoing struggles. 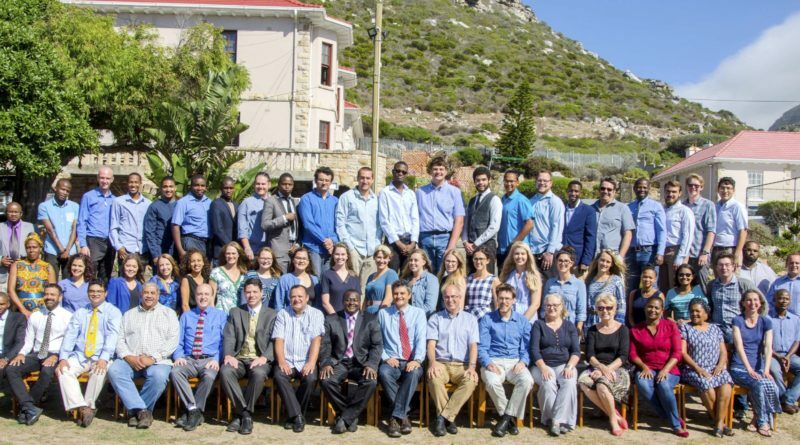 Please pray for these students, as they are young and working through difficult personal issues as they prepare for ministry. Please also pray for wisdom as I build relationships that will allow me to counsel students more effectively. Although our three year Bachelor programmes have been accredited for both contact and distance modes, and now our fourth year Honours programme has now been accredited for contact mode, we are seeking to improve the course content, the teaching and learning methods, and the administration of our programmes. Please pray for wisdom in planning and prioritizing for the future. In our last newsletter I mentioned that we had a $10,000 deficit in our ministry account. We also are about $700 per month short in ongoing commitments. We are thankful for several significant gifts that were received since then. However, it is very difficult to get an accurate picture of our financial standing as we are dealing with international reports that can take several months to process. My best estimate now is that we are about $9,000 short in our ministry account, with an ongoing shortfall of about $700 per month. We have seen God provide for us in the past, and He has never failed to provide for our needs. I am reminded of Abraham’s faith when God asked him to sacrifice his only son Isaac. God did indeed provide a lamb for sacrifice that day. Abraham named the place Yahweh Will Provide. “And to this day it is said, ‘On the mountain of the Lord it will be provided.’” (Genesis 22:14). Please pray that God will raise up supporters to meet our current ministry needs, and also pray that we would continue to grow in our faith as we learn to trust in Him more every day. That God will bring rain to Cape Town, as the dams in this area are still extremely low.